Protect your keys with the power of the force and guide your way through the galaxy with a Star Wars Led Keyring Light Torch. 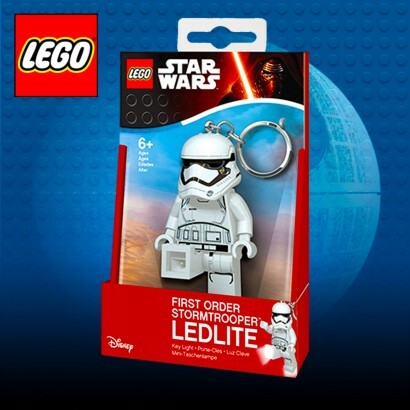 The First Order Stormtrooper from the most recent films in the Star Wars saga gets the Lego treatment complete with LEDs in his feet to light your way in the dark! 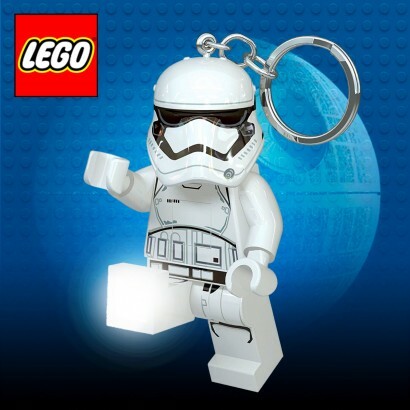 Ideal for keys giving you light from the Darkside.